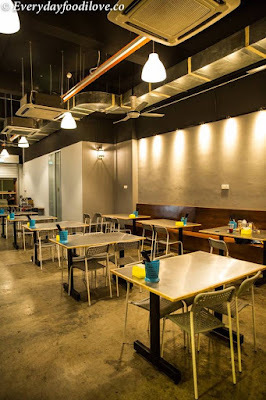 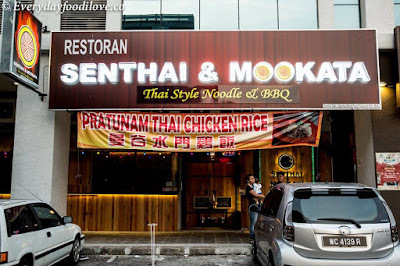 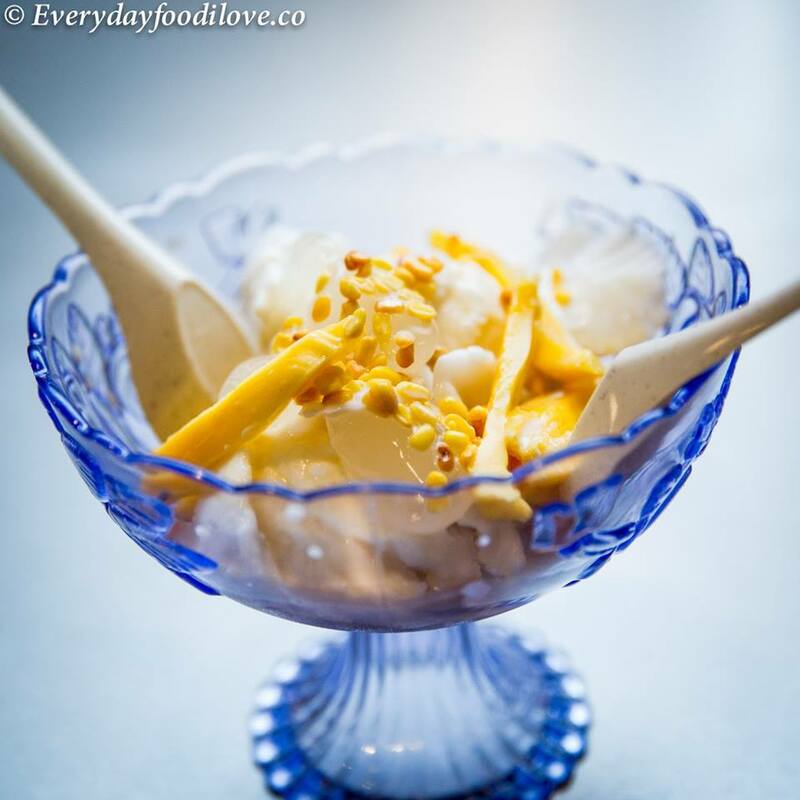 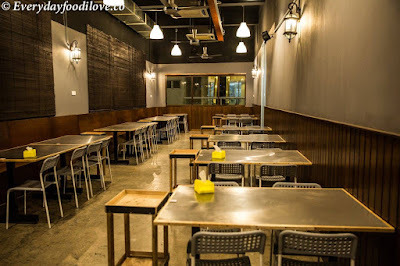 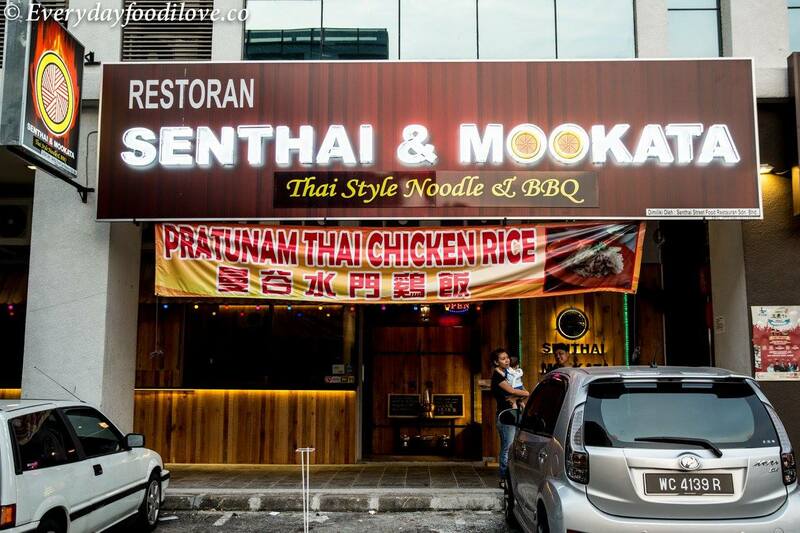 This new Thai restaurant opened 6 months ago at Plaza Manjalara, owned by a Malaysian with a Thai wife, serves good Thai food, Mookata and steamboat. 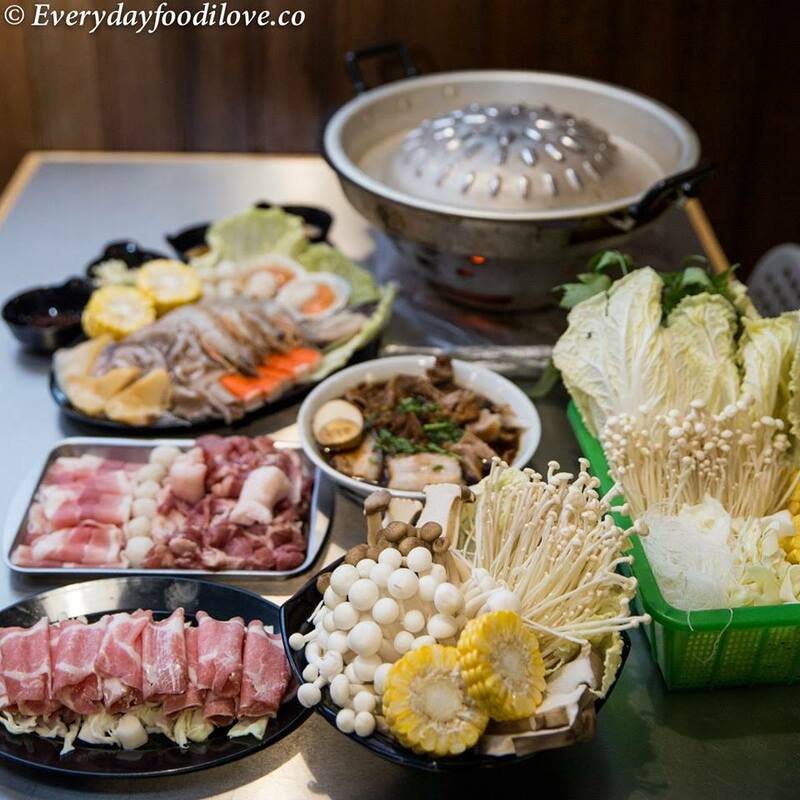 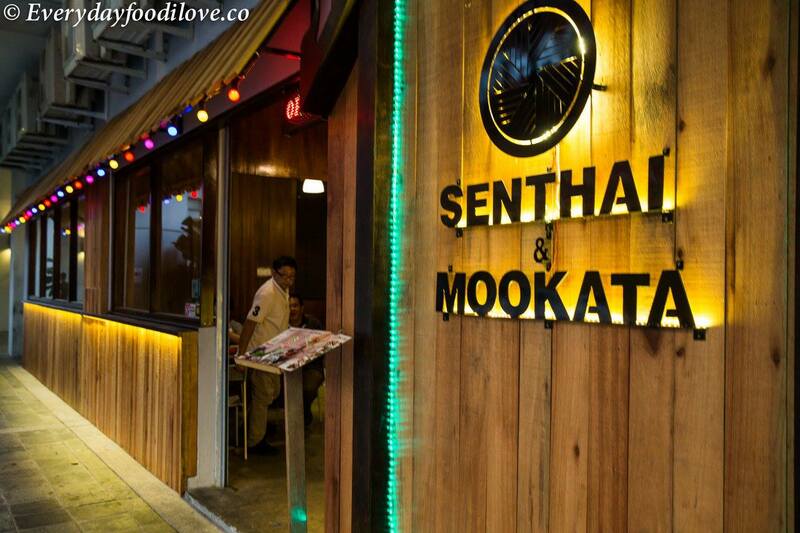 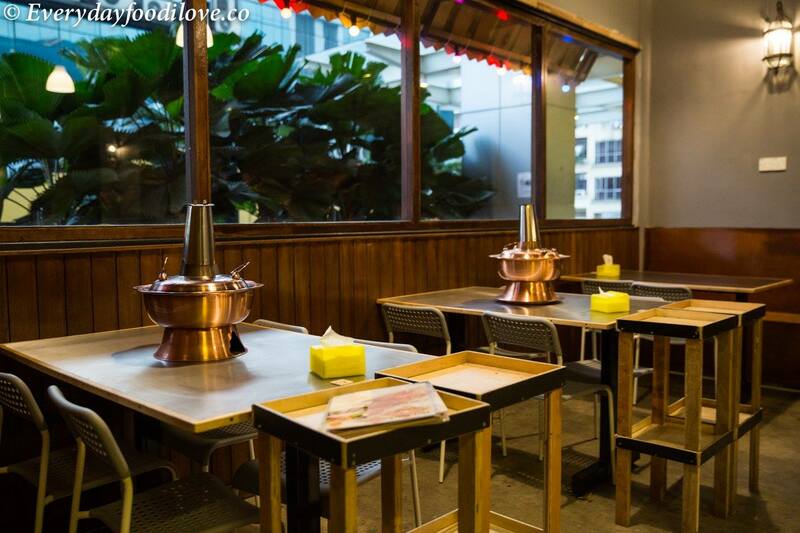 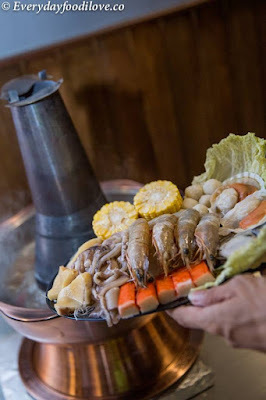 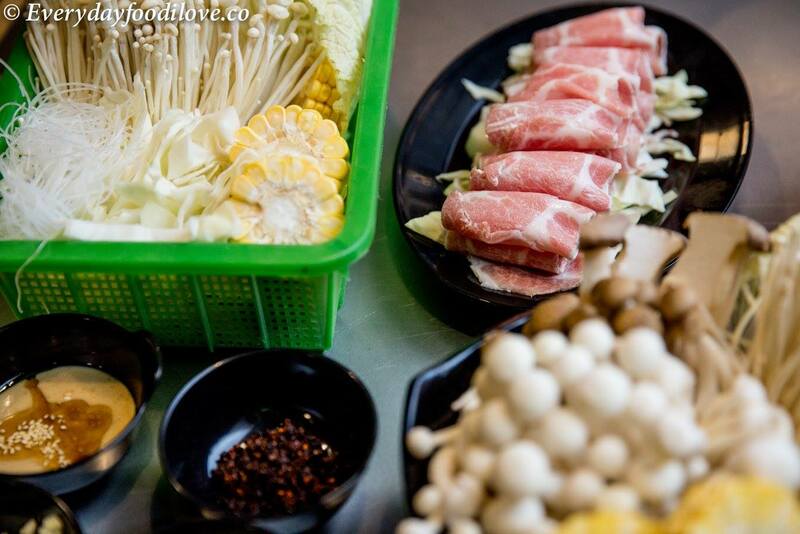 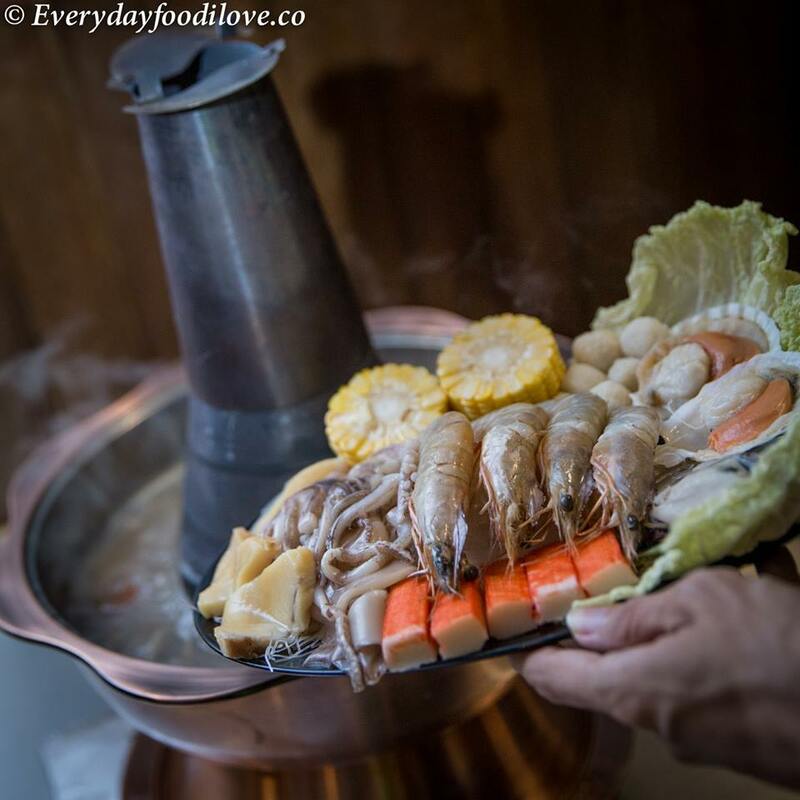 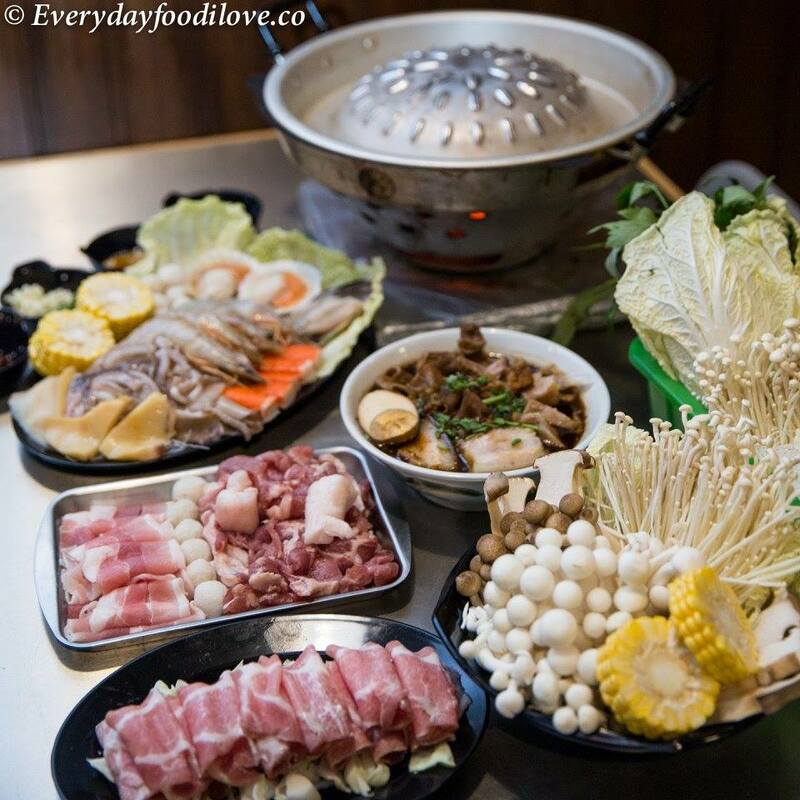 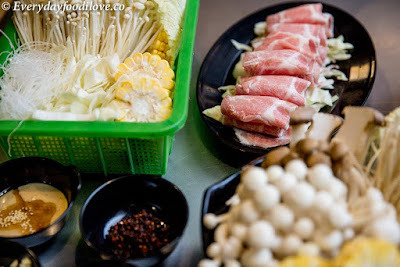 Mookata is a Thai barbecue steamboat originated from Northern Thailand, ‘Mookata’ loosely translates from Thai meaning ‘pork’ and ‘skillet’. 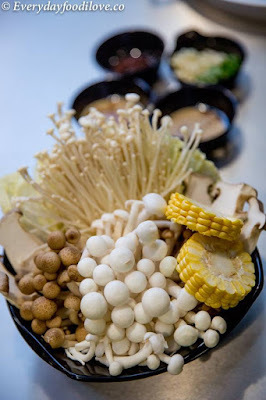 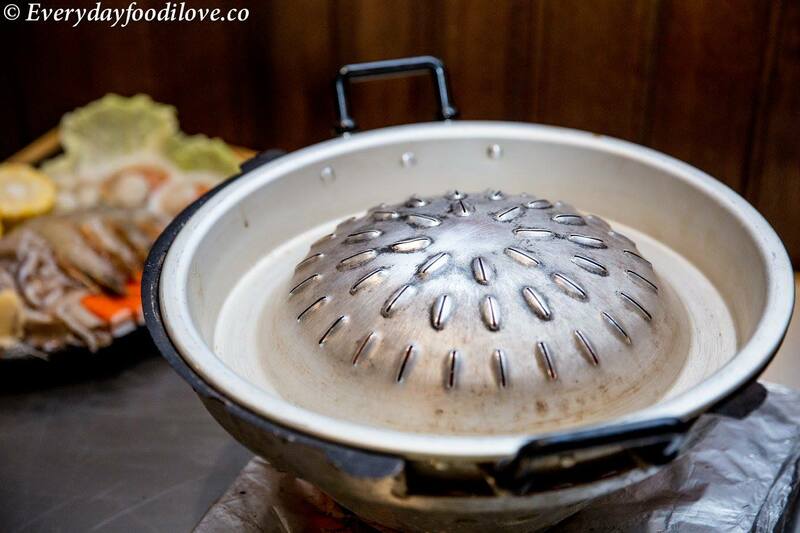 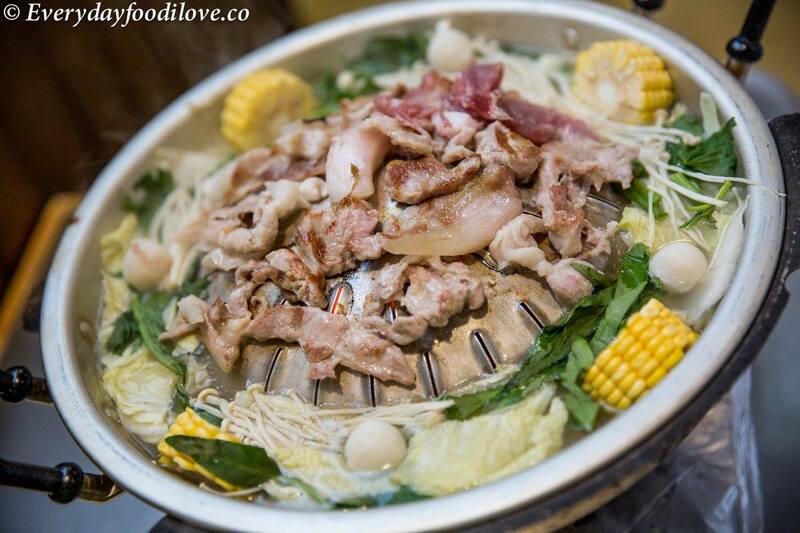 Interesting way to eat Mookata, pork lard is used to grease the metal skillet, which you then use to grill the meats. The surface eventually gets really charred though. 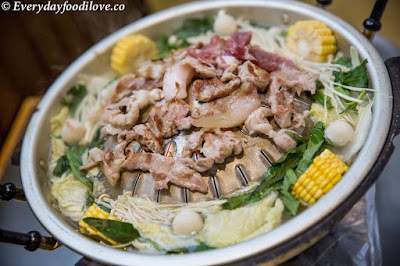 Clear pork bone soup is poured into the moat surrounding the skillet. 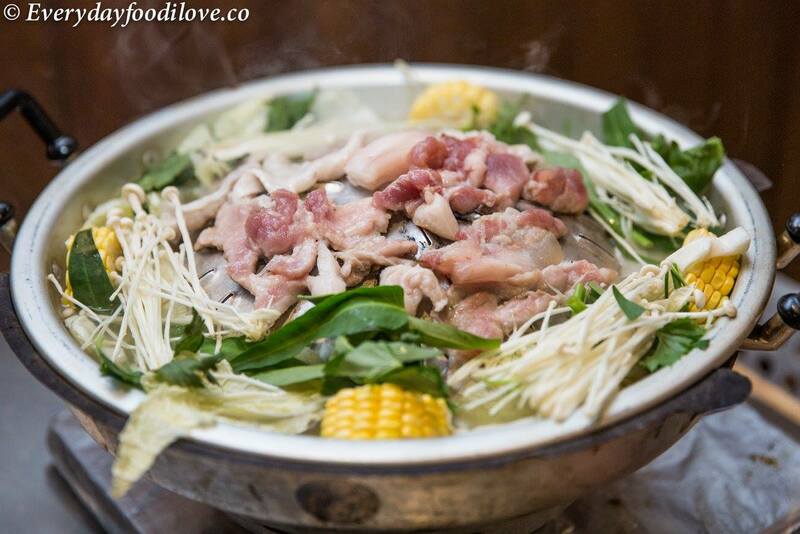 Traditional Mookata in Thailand just use plain water, but the version in Malaysia has been tweaked to use broth. 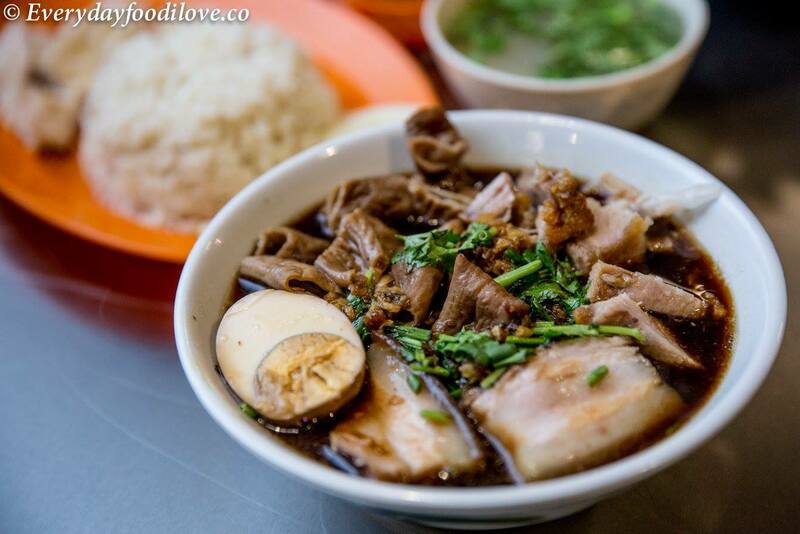 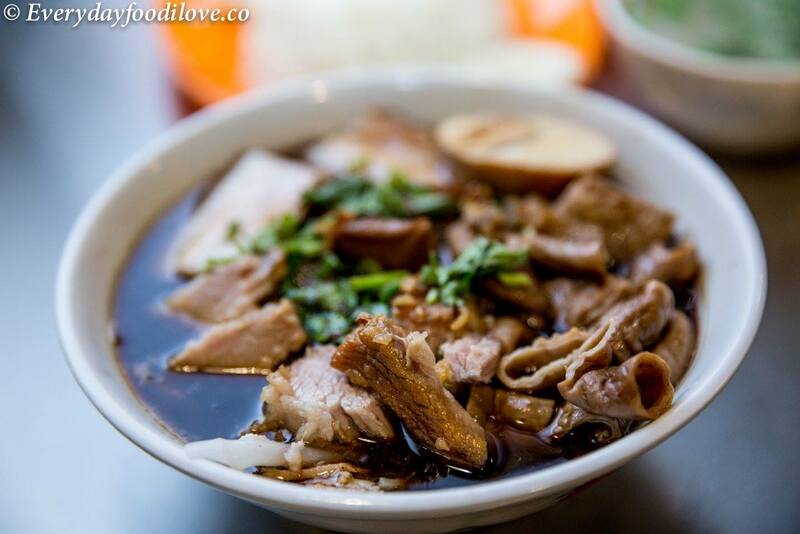 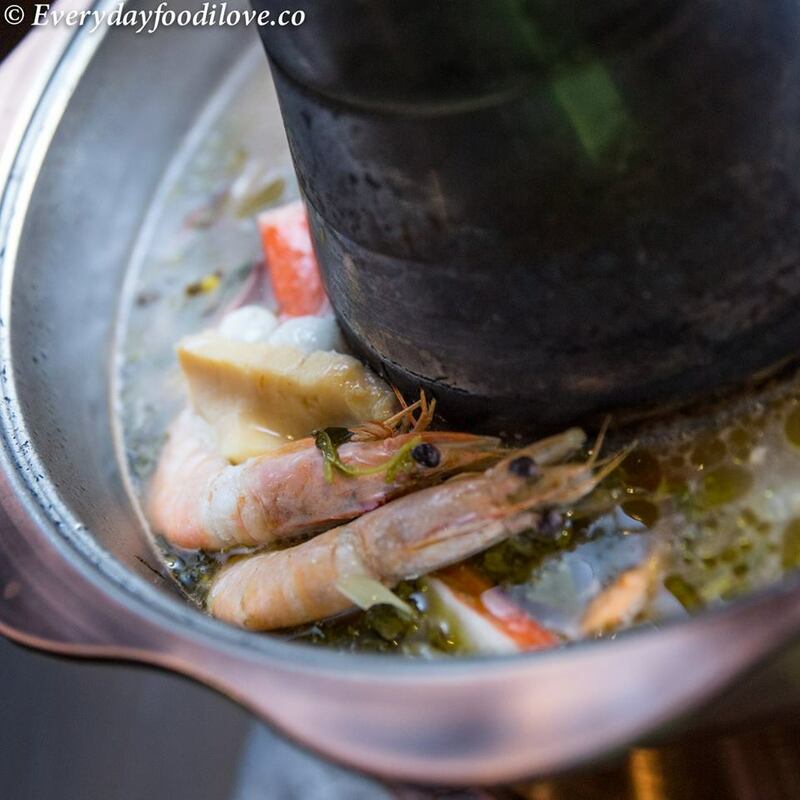 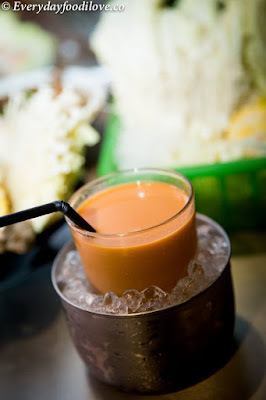 The light clear soup allows the broth to easily take up the essences of the grilled meat juice that flow down, mixed well with the boiled vegetables in the broth to create a flavourful and rich taste in the soup. The dark broth is full of flavour, suited my tastebud. 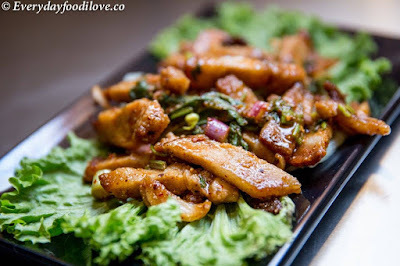 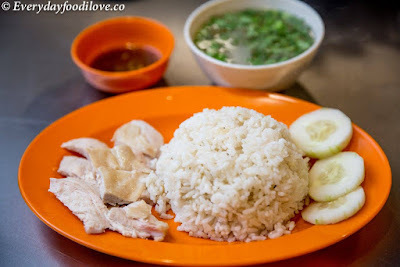 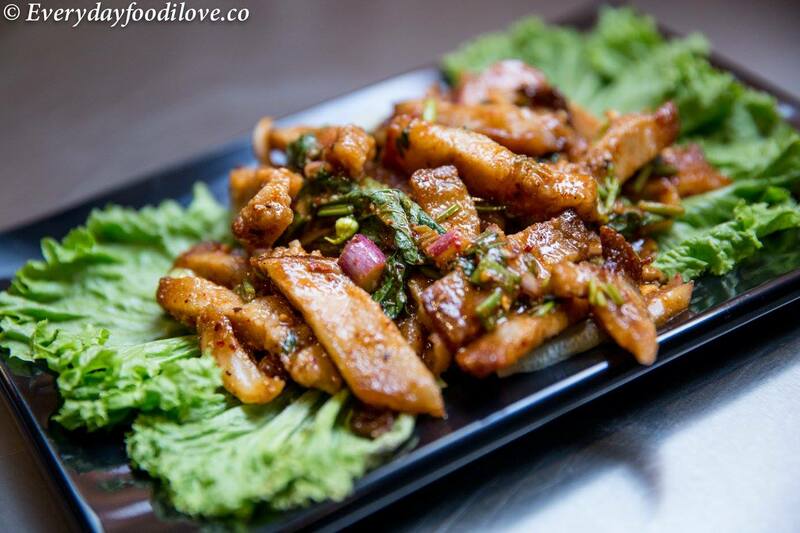 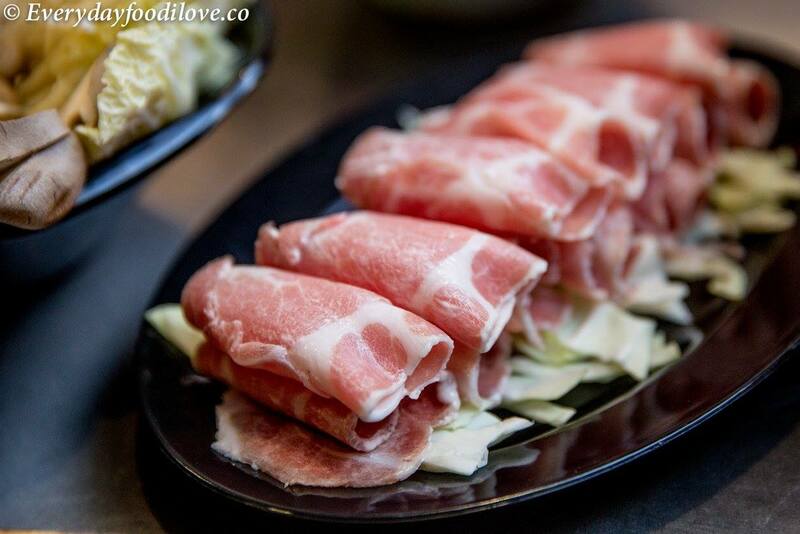 This juicy pork neck are very appetising dish, a great dish to start of your meal. 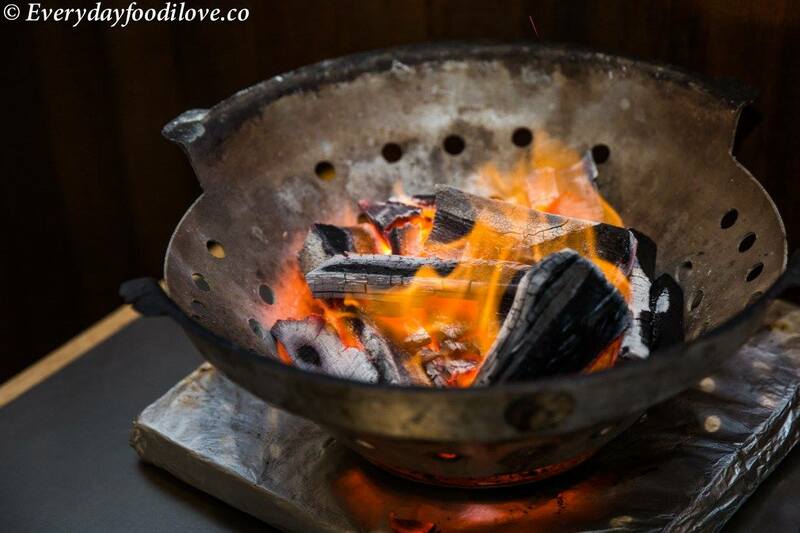 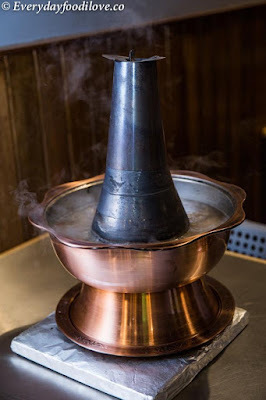 Using tradition charcoal pot to keep the heat even and boiled faster. Tom yam flavour clear soup which the broth was boiled with pork bone for hours, not spicy but aromatic. 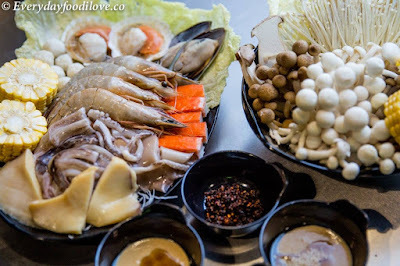 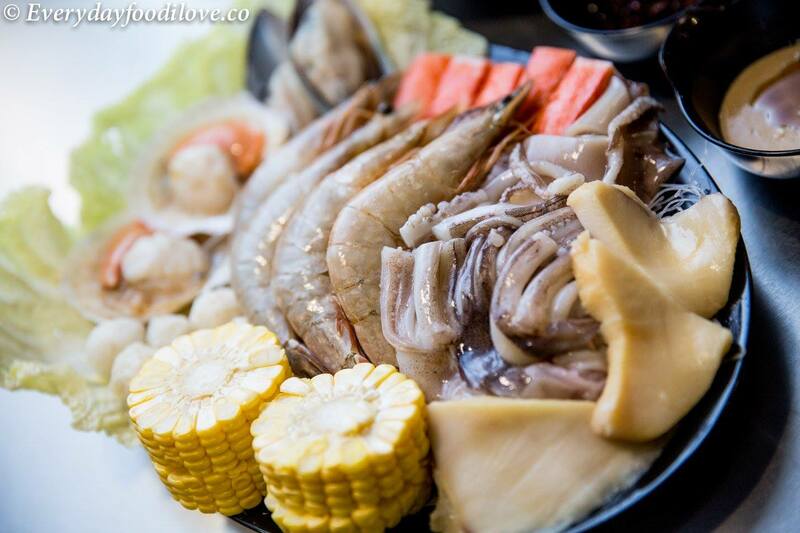 Seafood Set come with prawns, scallops, mussels, abalone, squid, crabsticks, meat balls and vermicelli noodle. 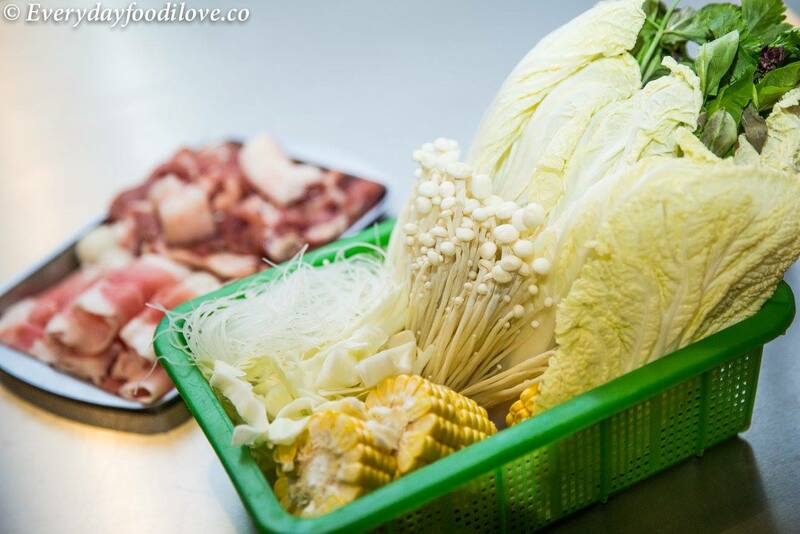 Both good for grilling and boiling, tender and juicy pork meat. 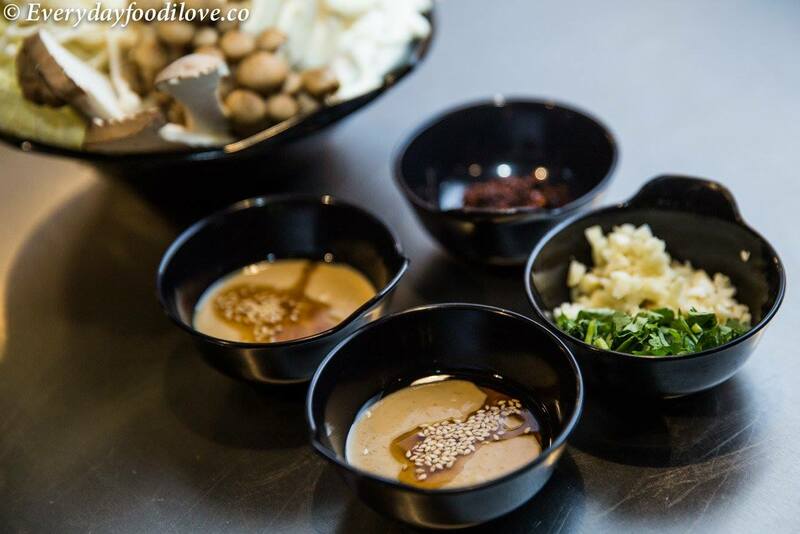 Three types of house made dipping sauces for steamboat and grilled meats. I must highlight their sesame sauce was outstanding, which in rich, creamy, fragrant and you can alter your own spicy level by mixing the amount of dried chili flakes.